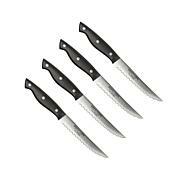 Don't overlook this set of essential kitchen knives. 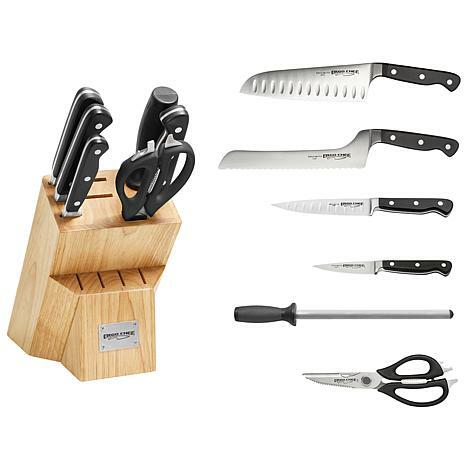 Each offers an ergonomic design that gives you good control and comfort with little strain. 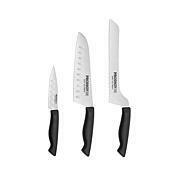 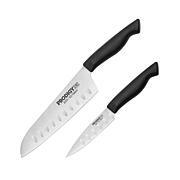 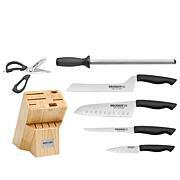 They come with nonslip grips with full-tang blades and sit beautifully in the included wooden knife block, making them great, don't-miss blades for any aspiring chef.